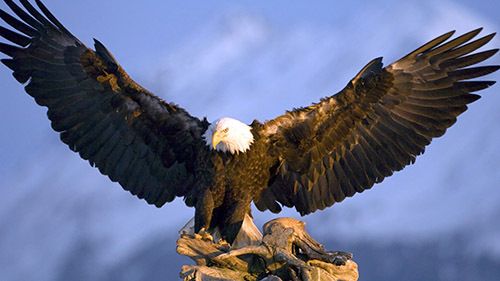 American Eagle Day (June 20) is a special day to commemorate the anniversary of the Bald Eagle’s selection as our National Symbol, to celebrate its physical recovery to America’s skies, and to observe the American values, ideals and attributes for which it stands. In 1995, at the request of the American Eagle Foundation, President Bill Clinton and Tennessee Governor Don Sundquist each recognized the first American Eagle Day. Since then, Governors from a combined total of 49 states have signed Proclamations or Letters of Recognition giving our National Bird, the Bald Eagle, its own “official day” in their state! 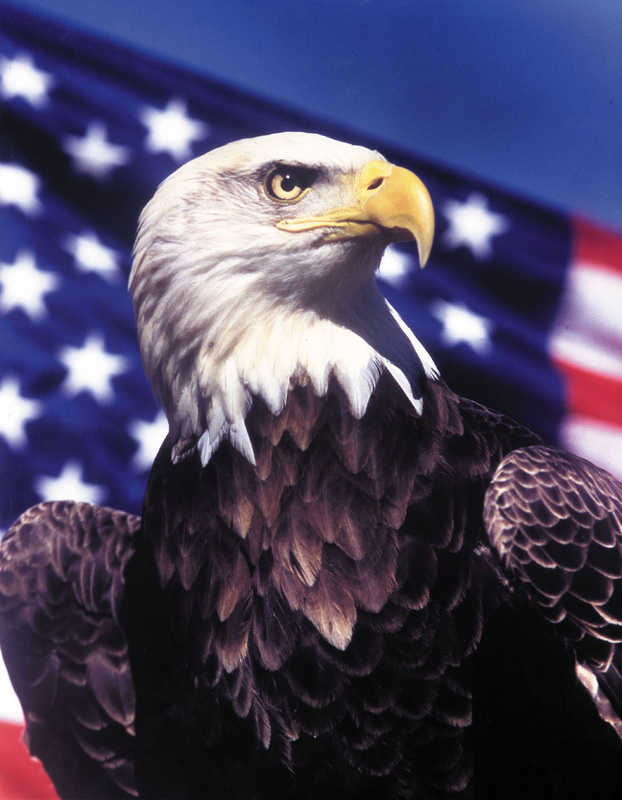 Until American Eagle Day was established, there had never been a “national day” set aside to annually recognize our country’s inspirational national bird and the role that it has played in our lives, past and present. Together, we can make June 20th an annual day to remember and commemorate this majestic and important American symbol. American Eagle Day still isn’t an official national day! We need your help. Write your Governor and ask him or her to proclaim American Eagle Day in your state. Gubernatorial Proclamations do not automatically renew from the previous year — they must be annually re-proclaimed by the current Governor. A Governor will only issue a proclamation when citizens or groups submit formal requests to do so. Proclamation submission guidelines vary by state (some require written requests, email requests, or forms, etc). Call your Governor’s office and ask for the Proclamations Department and they will be able to tell you exactly how to submit your request! Help us get ALL FIFTY States on board this year! Write to the President and ask him to proclaim American Eagle Day in the United States. A President will only issue a proclamation when A LOT of U.S citizens send in request letters…the more, the better! Clinton was the first and only President to recognize American Eagle Day in 1995. Presidential Proclamations do not automatically renew from year to year and have to be annually re-proclaimed unless required by the U.S. Congress. In addition to making a 2018 Proclamation request to the President, make sure to complete Step Three to help us achieve a Congressional Resolution that will require the President to proclaim it year after year. Write the Leadership of the U.S. House of Representatives and ask them to join the U.S. Senate in passing a Joint Resolution for American Eagle Day. The U.S. Senate is already on our side and has been passing Simple Resolutions since 2007…but a House Rule established in 2011 in the House has prevented an American Eagle Day Resolution from being passed since 2010. If we can get both Houses of Congress to pass a Joint Resolution together, it will permanently establish American Eagle Day in the United States, requiring the President to issue an American Eagle Day proclamation every year. The Bald Eagle was selected as the U.S.A.’s National Emblem by our country’s Founding Fathers on June 20, 1782 by the Second Continental Congress. For over 200 years now, it has served as the pride of America’s skies and the living symbol of all that we Americans stand for: Freedom, Courage, Strength, Spirit, and Excellence. 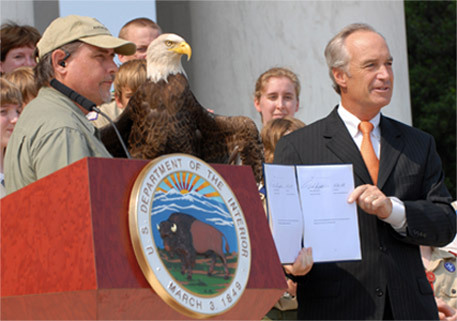 The removal of the bald eagle from the “threatened and endangered” species list was announced by Secretary of the Interior Dirk Kempthorne on June 28, 2007. 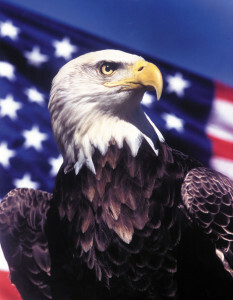 The Bald Eagle is still a protected species in the lower 48 states by the Bald and Golden Eagle Act. The banning of DDT, strict protection laws, the work of conservationists and environmentalists, and the efforts of organizations like the American Eagle Foundation have all contributed to the recovery of Bald Eagles in the lower 48 states. They’ve made an amazing comeback from an estimated 417 nesting pairs in the early 60s to over 15,000 pairs today! We almost lost America’s precious eagles due to the effects of DDT, destruction of habitat, hunting, and environmental carelessness. By the early 1960s, the count of nesting Bald Eagles plummeted to about 417 in the lower 48 States. The removal of the Bald Eagle from the “threatened and endangered” species list was announced by Secretary of the Interior Dirk Kempthorne on June 28, 2007. The Bald Eagle is now a protected species in the lower 48 states. The banning of DDT, strict protection laws, the work of conservationists and environmentalists, and the efforts of organizations like the American Eagle Foundation have all contributed to the recovery of Bald Eagles in the lower 48 states. They’ve made an amazing comeback from an estimated 417 nesting pairs in the early 60s to over 15,000 pairs today! We have made encouraging progress, but must continue this commitment until the Bald Eagle has made a full and healthy recovery to our lands, waterways, and skies. The Bald Eagle still faces daunting post-delisting challenges—from loss of crucial nesting and foraging habitat to the threat of various contaminants, viruses and diseases. Even newer challenges have arisen for our National Symbol: the Federal Government has extended, for 30 years, a no-penalty phase for wind energy companies whose turbines kill eagles, while the use of lead ammunition and fishing tackle among hunters and fishers leads to lead poisoningin Eagles. The Humane Association states that an estimated that 10 million to 20 million animals die each year from lead poisoning in the United States. Fifty years ago, the Bald Eagle was on the brink of extinction, with only an estimated 400 nesting pairs left in the lower 48 states. The Bald Eagle was federally classified as an “endangered species” in the lower 48 states under the Endangered Species Act in 1973, and was upgraded to a less imperiled “threatened” status under that Act in 1995. Complete restoration is still on the horizon, but the Bald Eagle has made an incredible comeback to America’s skies and waterways so far, with an estimated 15,000 pairs in the lower 48 states today. The Department of Interior and U.S. Fish & Wildlife Service delisted the Bald Eagle from Endangered Species Act protection in 2007, but will continue to be protected under the Bald & Golden Eagle Protection Act and the Migratory Bird Treaty Act. The American Eagle Foundation is a not-for-profit 501(c)(3) organization whose mission is to protect and preserve the United States’ living symbol of freedom, the American Bald Eagle, and other birds of prey. For 3o years, the AEF has carried out its mission through Preservation, Repopulation, Education, & Rehabilitation. It is our desire to establish an official national day to celebrate and commemorate our living symbol of freedom. In 2007, the American Eagle Foundation (Pigeon Forge, Tennessee) deemed June 20th as American Eagle Day. Since 2007, we have succeeded in generating support for American Eagle Day from the Governors of 42 states, as well as the House and the Senate. Much of this success can be attributed to concerned citizens of each state, young and old, stepping up to take action. Until the House and Senate pass a joint resolution for American Eagle Day, this endeavor requires renewed annual efforts to reestablish this celebratory day each June, on both state and federal levels. On behalf of the American Eagle Foundation, I am inviting citizens, students, teachers, civic organizations, and familes to join us in our mission to proclaim American Eagle Day in your state and also on a national level. We then invite you to celebrate American Eagle Day with us through a variety of activities such as Bald Eagle lessons, eagle adoptions, and live eagle nest cam viewing. Initial letters and example proclamations have already been sent to your governor. If your governor has already proclaimed American Eagle Day in your state by the time of your participation (which you can find here), you can still write to our President and also participate in many Eagle Activities! If interested, please become an American Eagle Day Ambassador.